Despite excess capacity, Toyota rarely closes factories. On April 1, 2010, the last Toyota Corolla rolled off the assembly line at the GM/Toyota jointly operated NUMMI auto plant in Fremont, California. This was on the heels of a major financial crisis that hit many automakers hard, causing mass layoffs and taking entire brands (like Pontiac and Hummer) along with it. NUMMI is one of the few plants that Toyota has ever shut down. Even when NUMMI's co-owner, GM, was mired in bankruptcy and all but certain to walk away from NUMMI, Toyota considered keeping the plant open to produce Toyota vehicles exclusively. Toyota worked with the worker's union to try to keep the plant open. When it became clear the plant would be closed, Toyota worked to ensure employees would receive a severance, job training, and more. "Because people make our automobiles, nothing gets started until we train and educate our people." This philosophy was expressed by Toyota advisor Eiji Toyoda, and it's shared as a company-wide view of Toyota. This was chronicled in 2008 amidst the auto crisis when Toyota's truck sales had plummeted by nearly 50%. Instead of laying off workers at the San Antonio truck plant (which produced the Tundra and Tacoma), Toyota decided to keep their 2,000 plant worker on payroll full-time. But it's not like these employees were sitting around half the day. “Team members will continue to report to work and will continue to work as a two-shift operation, and they will continue to be paid 100 percent of wages,” said Toyota spokesman Mike de la Garza at the time. When those employees weren't building Toyotas, they spent their time in training, learning new skills. Toyota also encouraged employees to volunteer in San Antonio and help with community service, while Toyota paid the full hourly rate. Toyota makes investments in workers - and avoids layoffs - because Toyota values workers as a form of capital. Good workers are hard to come by. Toyota understands this, and makes an effort to retain great workers by all but guaranteeing employment. This point is piggy-backing off the last, but it's still a great reason why Toyota's factories continue to stay open. In an ideal world, Toyota would never have excess manufacturing capacity. They would sell every car they could build, as that would maximize efficiency and profits. Of course, the world is not ideal. Plant capacity utilization ebbs and flows with the market. However, unlike other automakers, Toyota does not typically use downturns in sales to justify plant closures. Instead, Toyota takes a long-term view of plant capacity and production. Instead of closing a plant to save a few dollars over the next 3 years, Toyota will look 5, 10, or even 20 years down the road and project a plant's total value. If the long-term looks good, Toyota will keep an underutilized plant open. This was even true during the Great Recession, when Toyota kept their regular US manufacturing employees on payroll and their factories running despite the plummet of global auto sales. Overall, Toyota doesn't panic when their factories aren't operating at 100%. Instead, they wait it out, invest in their employees, and wait for future demand to kick in. Toyota used the 2008 recession as a learning experience. What exactly did they learn? They determined that a "build where you sell" business model ensures the most long-term profits. Instead of watching profits melt away due to currency fluctuations, Toyota has decided to diversity production and move it outside Japan. 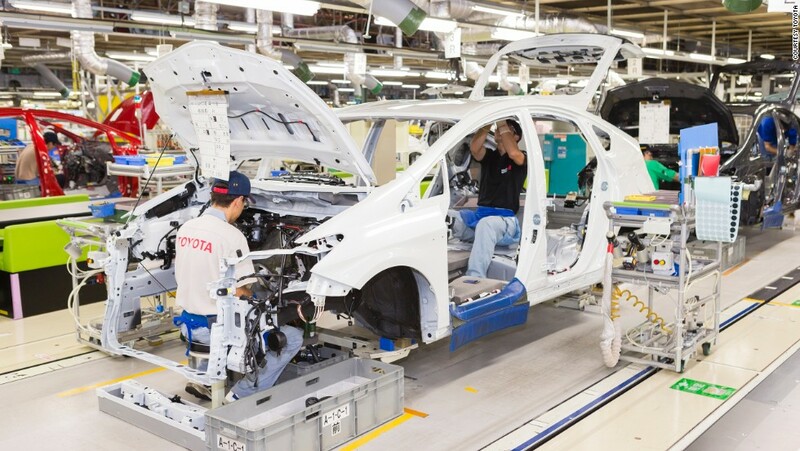 Today, Toyota is prioritizing new plant construction in markets that are likely to have long-term growth. Toyota will build a new plant in Mexico (to serve the fast-growing North American market), as well as a new plant in China. While these plants will be expensive (billions of dollars, when it's all said and done), they will serve markets that have long-term future. Additionally, Toyota is spending substantial sums to make its various divisions around the world (Toyota USA, Toyota Europe, etc) more autonomous. Toyota USA, for example, is building a new headquarters in Plano, Texas, and conducting a major upgrade of the Kentucky plant. Summing up, Toyota factories stay open because Toyota always operates with a long term view. Toyota doesn't build plants unless they have a long-term future, and Toyota doesn't shutter plants because of short-term market changes.